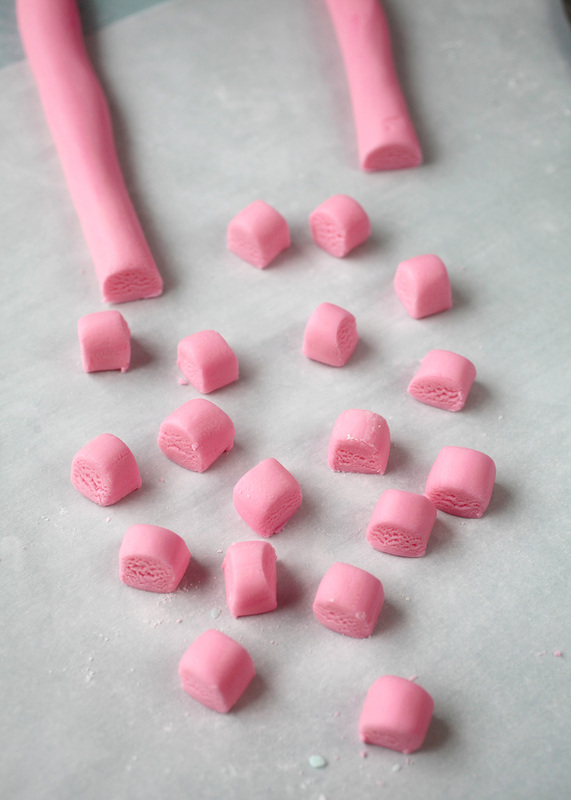 I’ve got a really easy springy treat to share with you guys today. 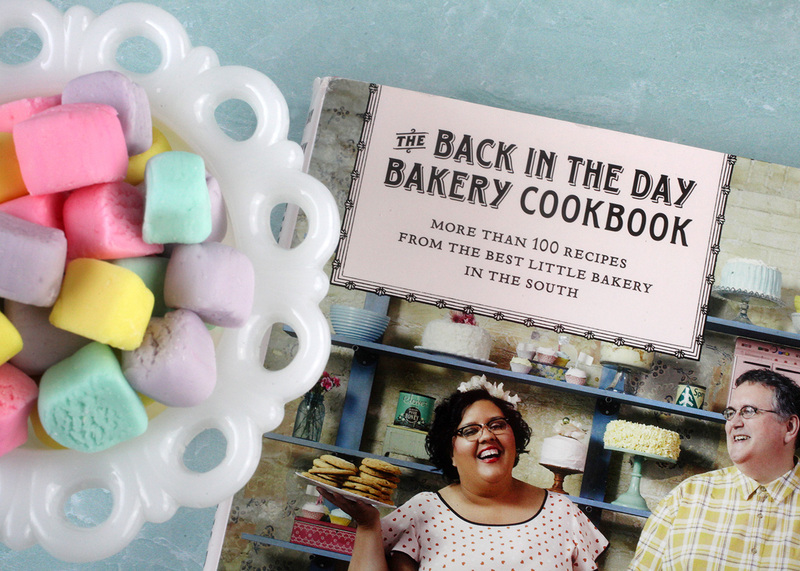 I was flipping through one of my cookbooks by Back in the Day Bakery  last weekend and landed on a recipe for Butter Mints. 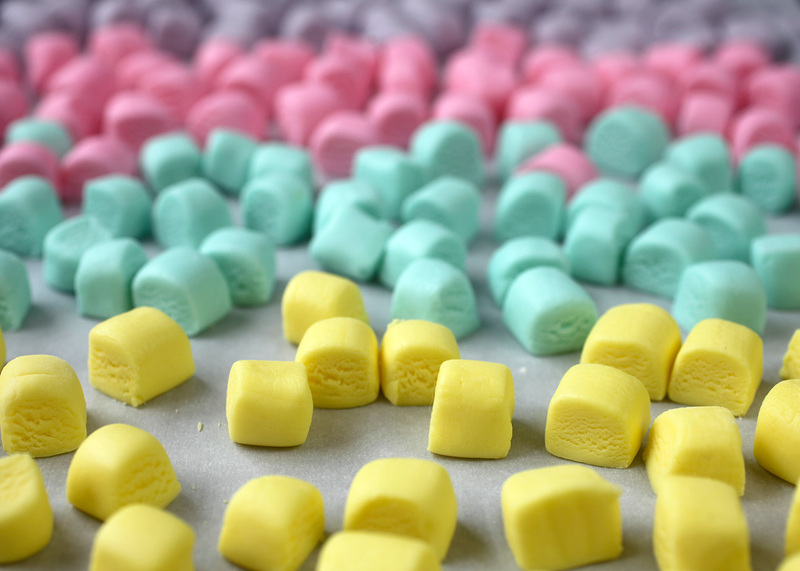 But it was the picture inside of cute little cubes of color that grabbed my attention. And I knew I had to make them right away. You only need a few ingredients. 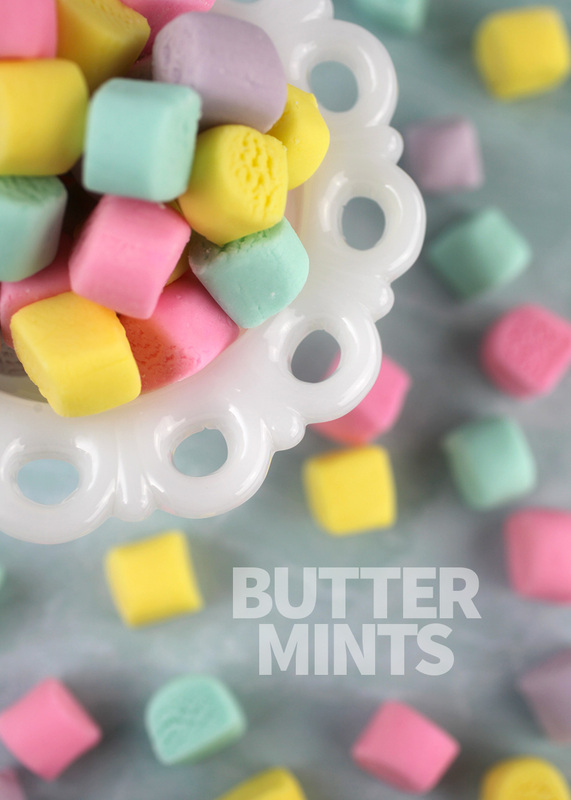 Confectioners’ sugar, butter, salt, sweetened condensed milk, peppermint extract and food coloring to jump all over these. Once you mix all the ingredients together minus the coloring, the dough will form a ball shape in the mixer and pull away from the bowl. Turn the dough out onto some parchment paper lightly dusted with confectiones’ sugar and shape into a large disc that you can then divide into four equal portions. 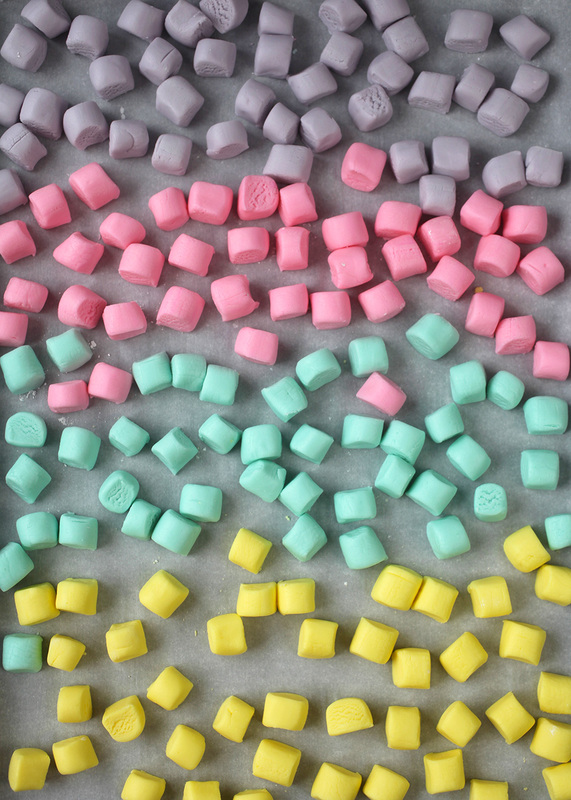 Or divide into however many colors of mints you want to make. 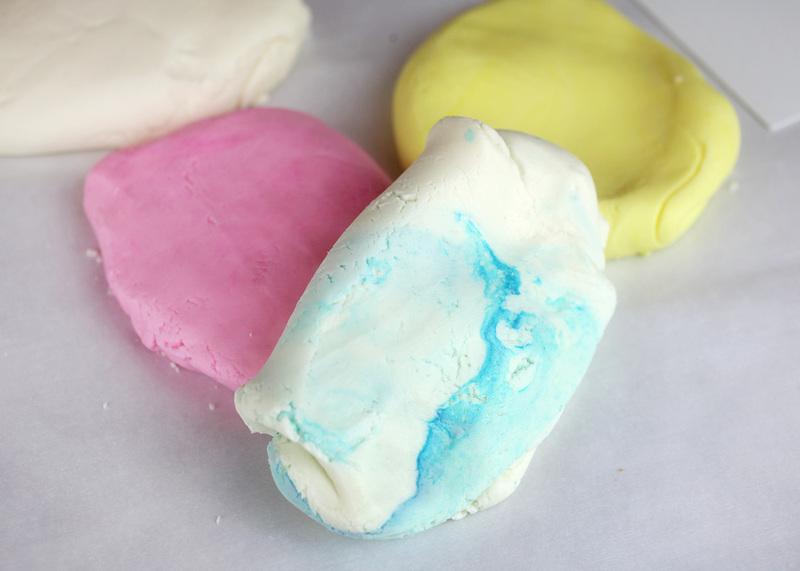 You just need 1-2 drops of gel food color to tint the dough a pretty pastel color. I went with yellow, blue, purple and pink. So pretty! And I’ve got to tell you … right about here I was really wishing I had some Play-doh toys in the house to try the dough out on. I think I could make some super cute shapes. But alas, I just went with these charming little rounded cubes. 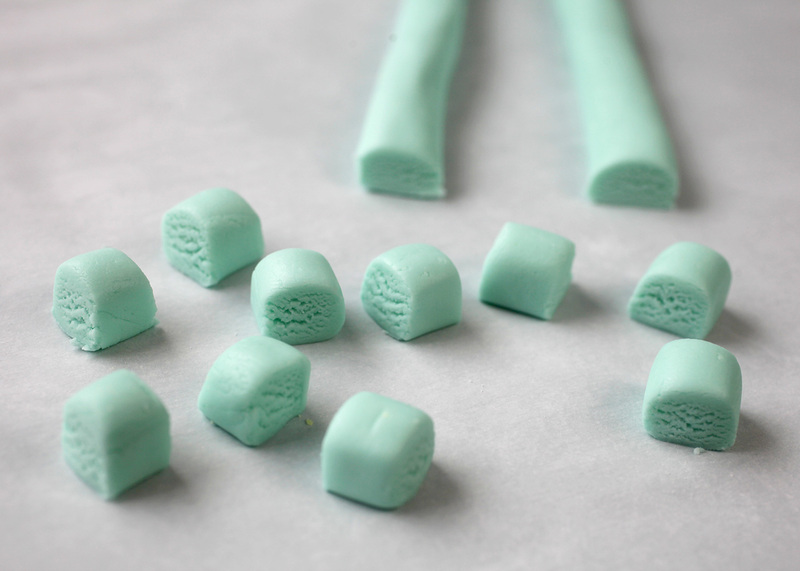 All you have to do is roll the dough into a long rope shape about 1/2 inch to 3/4 inch in diameter and then cut the rope into 1/2 inch sections. The dough is soft before it goes in the fridge to chill out, so the cylinder shape starts to flatten a little bit making them look like rounded cubes. Repeat with all your colored dough and transfer the individual pieces onto a large cookie sheet lined with parchment paper. Now just cover them in plastic wrap and chill in the fridge for about four hours to firm up nicely. 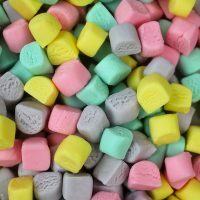 I definitely nibbled on a few right away. So soft and sweet. So perfect for Spring! Line a 9 X 13 inch baking pan with parchment. 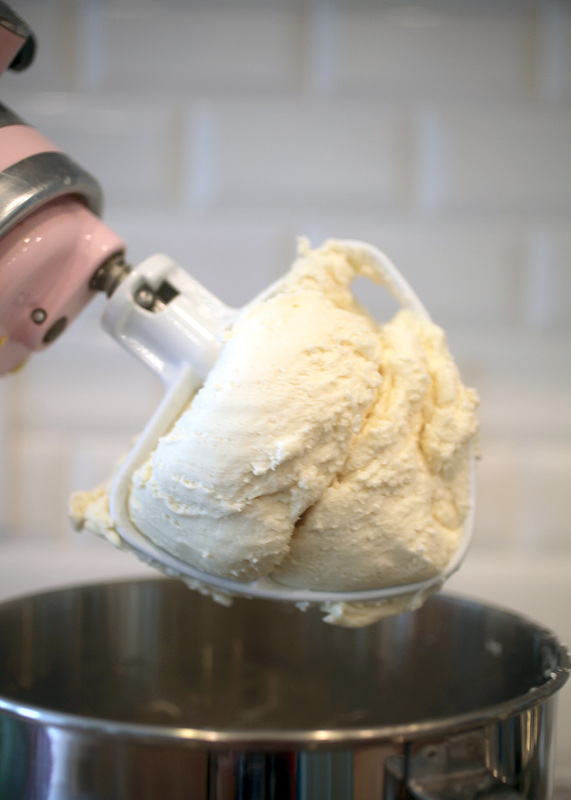 Using a stand mixer, cream the butter and salt together on medium speed for two minutes. Slowly add the confectioners' sugar, sweetened condensed milk and peppermint extract and mix on low until the mixture gathers into a ball. Remove mixture from the bowl, place on parchment paper and shape into a disc. Divide the disc into four equal portions. 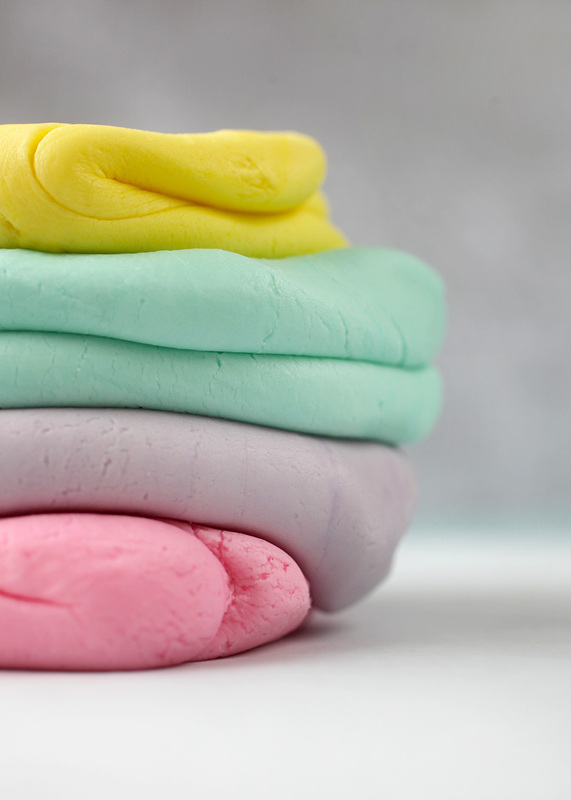 To color the mixture, add 1-2 drops of food coloring to one portion and knead until fully incorporated. Add more coloring as needed to darken the shade. Repeat with remaining three portions. 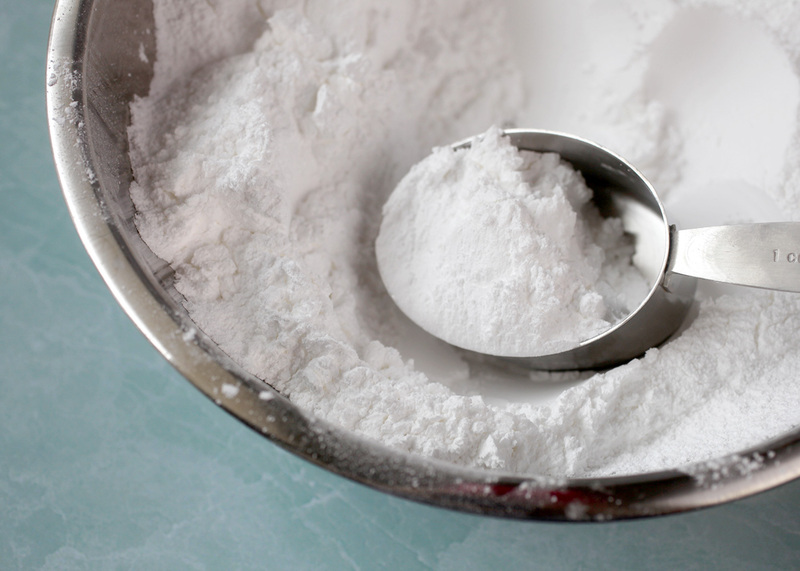 Working with one portion at a time, lay on a clean parchment paper-covered work surface that is lightly dusted with confectioners' sugar. Divide the portion in half and roll each half by hand into 3/4 inch ropes. 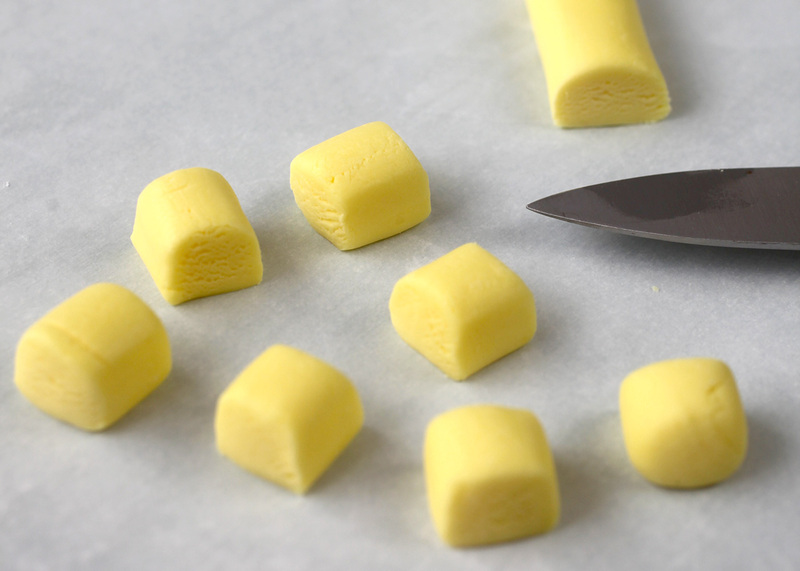 Using a paring knife, cut into 3/4 inch pieces. 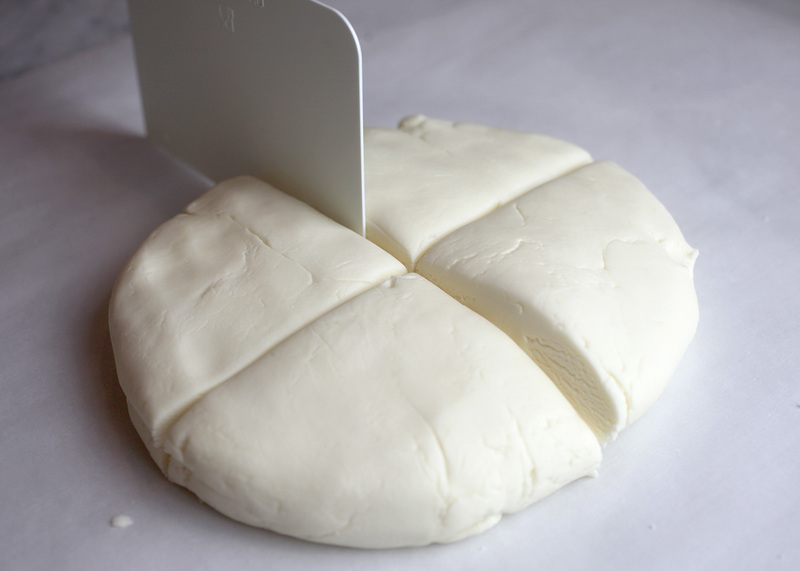 Gently shape as you cut if needed and place on the prepared baking sheet. Cover the mints with plastic wrap and refrigerate for at least 4 hours. 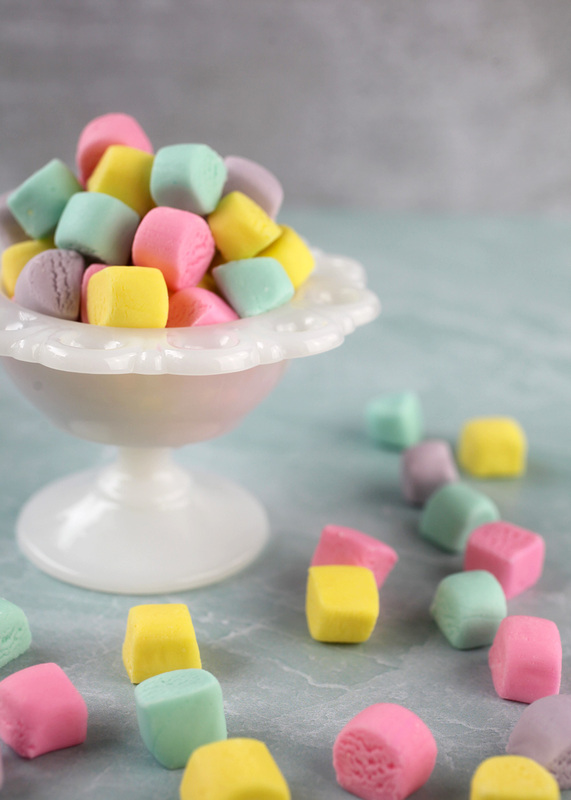 The mints will keep refrigerated in an airtight container for up to 1 week. P.S. I love this cookbook. So many great recipes. Here’s a link on amazon to their book . Go grab a copy. I’ve also made their Coca-Cola Sheet Cake (See it here ) and it was delicious. 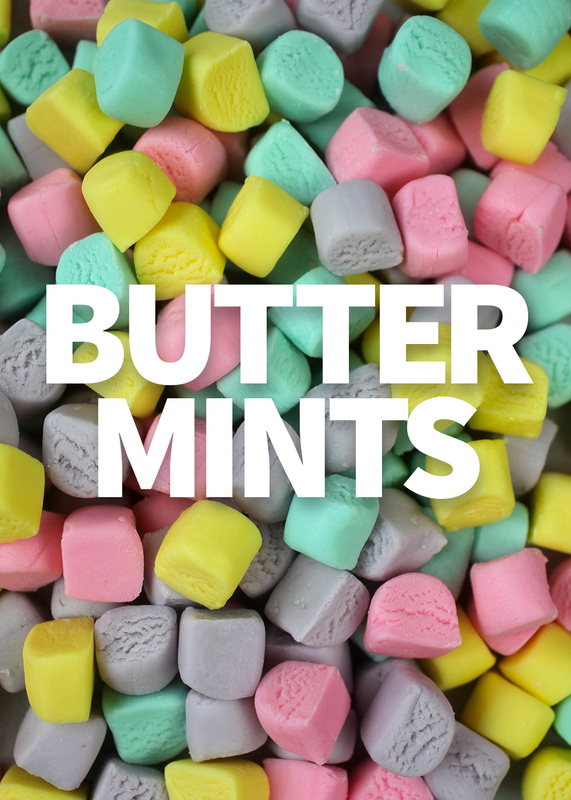 Or just make some butter mints to enjoy!